When they boarded that tender in Cobh to be ferried to a British ocean liner for an Atlantic crossing, calmly – but firmly – they were admonished, "Keep the Faith." They did. Embedded in their souls were the words of those 10 Commandments taught to them in their thatched-roof homes. The first of these was, "Thou shalt not have any gods before me." They never did – even with many setbacks including the sudden death of an infant child. Bridget and John knew they were only giving back to God His creation. Their breed has courage and their history was replete with it. They would tell stories of the black and tans, the English soldiers who would line up a suspected rebel against a haystack and send him to eternity by way of a bullet. The 3rd-class passage, aside from the sea-sickness produced by the rough North Atlantic seas, was safe. It was far better than the "coffin ships" which brought previous generations to these American shores. My parents had the advantage over other immigrant nationalities in that they spoke the language. The more eloquent ones would entertain with stories and often exaggerated yarns flavored with humor. After the ocean crossing, this generation generally settled close to the shore in cities such as Boston, Providence or Newport which offered opportunities for work. Author Oscar Handlin said of them, "This was flight, and precise dedication meant nothing." These were God-fearing people, however, with a loyalty to Him, country and to mankind. In 1850 more than 2000 Irish immigrant girls were working as domestics. Their ranks just grew. Hundreds of thousands more would follow. In Newport and other wealthy sections of New England and New York, these Irish lassies were the maids, while the cooks and chefs were Germans and Scandinavians. With the potato as the staple, the Irish simply did not have what could be called a cuisine. The men were gardeners, horse grooms and unsophisticated laborers. A broad back and a hard day's work was their offering for the going wage. 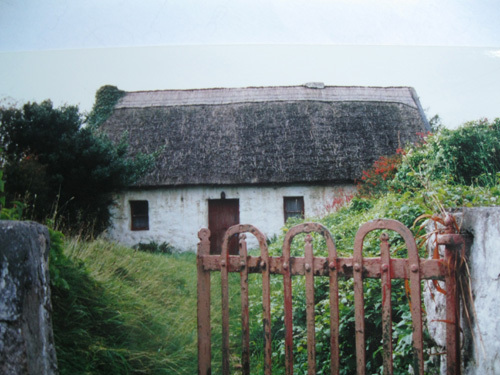 These Irish were cheap labor, pure and simple – but far from being lazy. If the male breadwinner had the body bulk to get on the police force, he did. My mother's brother, Patrick, was one such, and he not only gained respect, but he could bring home the food to feed 8 children. As was the case with our immediate family, four of them would later serve in wartime with the U.S. military. Loyalty was an integral part of the Irish DNA. Her sister Mary would lose a son in WW II, whose remains now lie on the floor of that Atlantic they crossed to get here. His death was the result of a Nazi torpedo. RIP Maurice Callahan. Irish lads fought as soldiers in European armies back in the 1700s. Among the papers of Emperor Francis I of Austria in 1765, they found these words: The more Irish officers in the Austrian service, the better; our troops will always be disciplined, an Irish coward is an uncommon character ... they generally perform through a desire for glory." 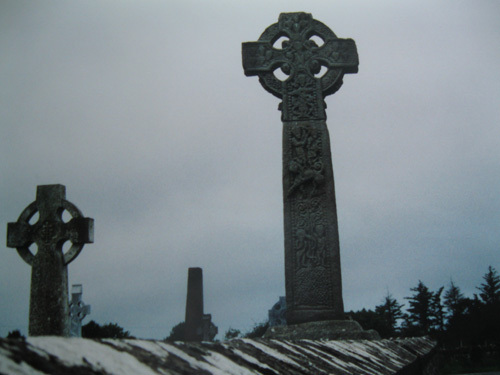 Among the American Civil War troops on both sides, the Irish were plentiful. On the Union side alone, 144,250 who served were listed as Irish-born. There were even more of Irish descent. What is important about the Irish was the courage and purpose they displayed. Peter Welsh, an Irish-Catholic immigrant and peace-time carpenter, rose to the rank of sergeant in the 28th regiment of the Massachusetts volunteers. He wrote to his wife of his steadfast loyalty to the Union cause and to President Lincoln. His ultimate goal was to use his military knowledge in the fight for Irish freedom. Sadly, he would not survive a wound received in the battle of Spotsylvania on May 12, 1864. He died on May 28th, a month short of his 34th birthday, in a Washington D.C. hospital with his wife at his bedside. Even before the notorious Oliver Cromwell, the oppression of the Irish by the British was at times savage. Neither the women, the elderly, nor the youthful gained any favor. In today's day and age, however, the innocent pre-born child in the womb has been singled out as the targeted victim. Who could possibly not visualize the blood-thirsty English soldiers tossing little ones into the air and spearing them for sport – and not get a nauseous feeling? Yet, Sir Charles Cooke in ravaging Wicklow in Ireland said he liked "such frolics." How different is Sir Charles from Cecile Richards? And the corollary of this is why would today's Irish voters choose once again to sanction basically the same type of brutality. We know that over a million Irish perished in the Great Potato Famine in the mid-1800s. That highly successful builder and Irish immigrant to these shores, Tom Flatley, worked hard to place a fitting Irish Famine Memorial in Boston in 1998. As he said, it took 150 years but it served as a remembrance to the descendants of immigrants who made it to these shores. 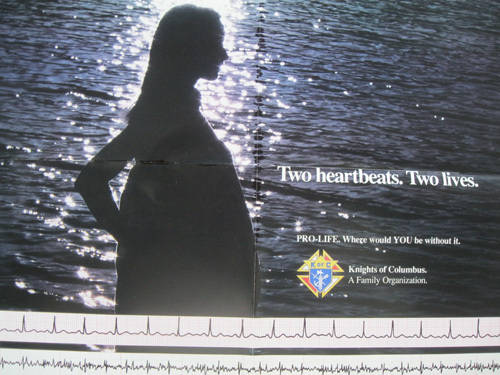 Thomas Flatley participated in Marches For Life in the city and was a generous contributor to the Pro-Life movement. With a great deal of hard work leading to success in this country, he never forgot his roots – and those historical Irish religious values. Obviously, not all those of Irish descent turned out to be upstanding citizens. We were warned as children there would be rogues, rowdies and even so-called reformers with other intent. To some of these scallywags, spirits were their downfall – not the spiritual ones but what came in liquid form. Policemen would tell you that the Paddy wagon was aptly named. South Boston's Bulger family, with the children raised in a South Boston housing project, gave us William "Billy" Bulger, who rose politicly to be the President of the Massachusetts Senate. After that service, he would retire politically and then become President of the University of Massachusetts. Billy Bulger was an intelligent, extremely articulate and composed leader who was despised by the media and political opponents. He lived his Catholic faith and was a very important asset to the pro-life forces who were in the struggle to thwart the rapid gains being made by their opponents after Roe v Wade. Billy Bulger's annual St. Patrick's Day roasts at Dorgan's restaurant – long-since commercialized by the media and pseudo-Irish – were entertainment of the highest order. Billy Bulger was truly an incomparable MC, deft in possessing true wit and not averse to quote even a Greek scholar or using Latin with a lilt. His quotes would send the pseudo-scholars scurrying for their books. The bitter irony was that bother James "Whitey" Bulger was for a dozen years the 2nd Most Wanted on the FBI list, as he hid from the grasp of one Robert Swan Mueller III, the FBI Director who was basically fudging in building a resume. Whitey was in 2nd place for this time to none other than Osama Bin Laden. Eventually captured on a Santa Monica, California neighbor's tip, the former Winter Hill mob's leader was convicted of being complicit in 11 homicides and is serving 2 life sentences in a Federal penitentiary. Another "Southie" resident, who was a staunch legislative supporter of the basic right to life in the post-Roe days and afterwards, was Ray Flynn who served also as the Mayor of Boston under the battering of the media. Although tarnished for his support of the Clintons, he eventually became the U.S. ambassador to the Vatican and was a great admirer and friend of Pope John Paul II. Ray is a stalwart Catholic and true to his roots. Less well-known as a Boston mayor is John F. Collins, an articulate, highly intelligent and polished individual who always placed principle foremost. Wheelchair-bound as a result of an adult polio attack, he was a distinguished example of overcoming a handicap while retaining an admirable clarity of commitment to public service. One could not help but relate this willingness to that of Dr. Joseph Stanton. He had delivered thousands of babies and was a staunch defender of the unborn child, as he saw the abortion threat looming. Dr. Stanton, who was also a polio victim, founded the Value of Life Committee before the Roe v Wade decision was handed down. He was once arrested, wheelchair and all, in a right to life protest. The founding father of the RTL movement in the Bay State, "Dr. Joe" is also a national icon in this effort. Thomas P. "Tip" O'Neill has always been epitomized in the mass media as the successful Irish-American politician. In reality, he typifies those who sought acceptance by the Secular Fundamentalist Establishment – and placed that before basic Catholic principles. As Speaker of the House of Representatives, he and self-described "born-again Christian" Pres. Jimmy Carter were for 4 years in the 70s the 2 most powerful elected officials of the Democrats who were in control. 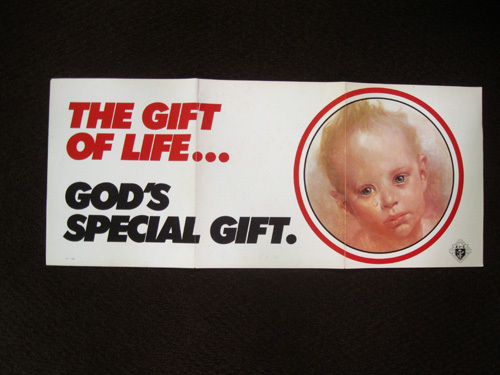 As the 1973 Roe v Wade decision was getting rooted, they stood by, never lifting their politically-powerful hands – and instead sold out to proponents of the legal destruction of pre-born innocents. While self-hating Catholics are very evident in politics and even inside the Church, George Soros is a self-hating Jew who is very powerful today. Possessing many billions in wealth, he and his family are major abortion supporters on the world stage. During the Nazi terror in Europe the last century, his family was responsible for selling out many of his fellow religionists, and they perished in those notorious Nazi death camps. The Soros sights are now on Ireland. Soros is funding efforts to repeal the 8th Amendment of the Irish constitution on May 25, 2018 in a continuation of a very sick and perverse use of his money and power. He must not be allowed to succeed. His perversion is no better signaled to us – maybe Providentially – in that Soros spelled backwards is still Soros. His direction points only toward evil. God Protect Ireland! 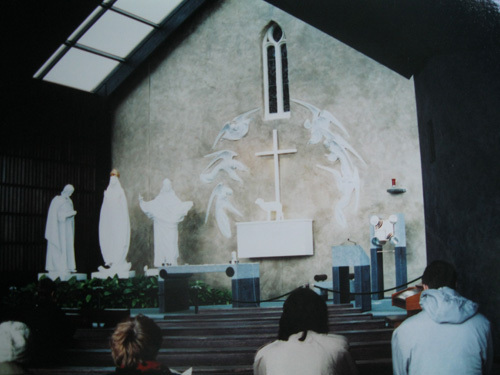 And at this crossroad in the Irish story, many understandably are praying for the miraculous intervention of Our Lady of Knock. The arguments in favor of expending all our energies to protect innocent human life are boundless – in all facets of our human and humane existence. Our opponents' claims to the contrary are firmly embedded in lies and deceit. The human being is clearly the most valuable creation in all of existence – bar none. And from that launching pad, protecting it is not only possible – but mandated. Each of us are in the human species, and each started as only a single cell – ONE SINGLE CELL. All that was necessary was that 2 conditions be met: that sufficient time be allowed – and that we be able to stay in the same location. Quite simple: our mother's womb was the locale, and 6 to 9 months had to be allowed. Arguments against allowing these 2 conditions to be interfered with are specious – and SINFUL. 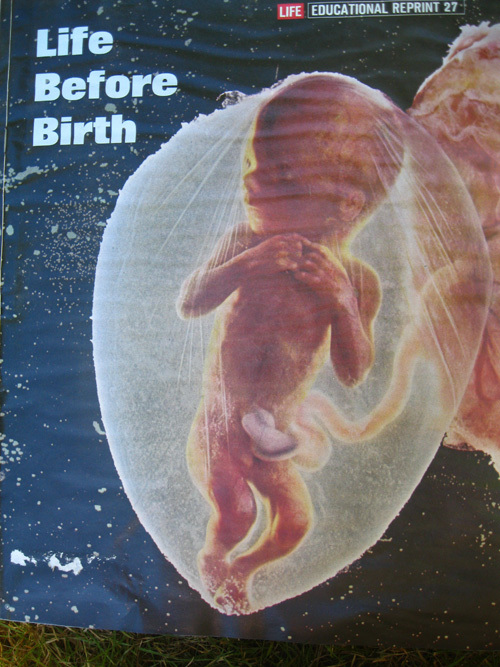 The Constitution now protects the life of the pre-born child, as well as his or her mother. To vote a repeal of the 8th Amendment of the Irish Constitution is to tell the world that we of Irish blood are no different from our historical persecutors. We are turning our backs on the story of a society which has a history of being targeted – a society like all others which had some flaws. but which also had a steel faith that God was Supreme. In the natural order, we do not have a choice. Protect the innocents from the unodly power to eliminate their God-given human existence. How different are those who would vote Yes to repeal Article 8 from the soldiers who threw the babies in the air and pierced them with spears! If WE vote to repeal the 8th Amendment of the Constitution, WE ARE THEY. But we of Irish heritage must thank God for HIS creations over the years- and vote NO! Erin go Bragh! – that's for ETERNITY Alleluia!